Update: Maulbeck has issue an apology, and is leaving Code Avarice. That went over about as well as you might expect. The bad blood on Maulbeck’s part goes back to a publishing deal that his studio, Code Avarice, signed with Adult Swim last year. Valve apparently thought that letting the publishing bring the game onto the Steam platform would open a loophole in the then-maligned Greenlight system. Our own Paul Dean had a chat with Maulbeck and his partner, Travis Pfenning, last year to discuss some of the issues that were plaguing Greenlight in its first year. The bad blood had not dissipated, as the two criticized Valve for their lack of transparency and blamed them for costing Code Avarice a quarter-million dollar deal with Adult Swim. Flash forward a year and that bitterness seems to have hardened into a perpetual frustration with every aspect of the Steam process. Maulbeck’s Twitter stream leading up to the launch of Paranautical Activity, far from being exultant, began to fixate on lingering irritations. So right after publishing on Steam, Maulbeck spotted that the banner image on the front of the Steam store still showed Paranautical Activity was in Early Access, and he promptly exploded. Polygon have additional remarks from Maulbeck, but more importantly, they also have a screenshot of the fatal Twitter meltdown, in which Maulbeck said he would kill Newell. Valve’s Doug Lombardi confirmed to Polygon that they removed the game from the store and severed ties with Code Avarice following Maulbeck’s tweet. And that appears to be all she wrote for Paranautical Activity on Steam. Both Pfenning’s and Maulbeck’s Twitter accounts make for some grim reading as the two partners realize their game just lost access to its major market after well over a year trying to launch on Steam. 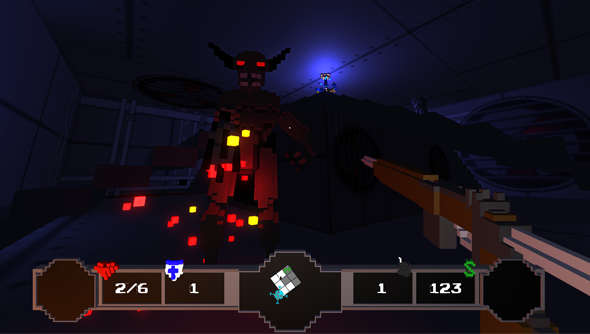 By all accounts, Paranautical Activity was a pretty fun game, although the development was marred by some strife between the developers and its Early Access community. It’s still available on GamersGate, though it seems to have vanished from the Humble store for the moment. It’s an unfortunate situation, and it’s hard not to feel Code Avarice, given the scale of the disaster that’s befallen them. But at the same time, how hard is it not to threaten to kill someone, much less the person who owns the store you depend on to get your products to market? As a matter of good sense and decency, this seems like an easy thing to get right. Maulbeck’s anger at Valve, after building for a solid year, finally got the better of him and turned Paranautical Activity’s launch day into the stuff of indie nightmares.